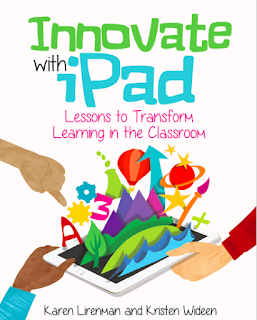 Innovate with iPad is Available on Amazon Today! I am giddy with excitement that Karen and I's book is launching on Amazon today! This book has been a labour of love for Karen and I since last year and we are so proud of the completed project. This book has a complete selection of clearly laid out engaging open-ended lessons in math, literacy. social studies, science and self assessment. We have chosen a handful of apps that are used for every lesson so you don't have to download dozens of apps onto your iPads. Another wonderful thing about our book is that WE are teachers just like you and we know that your time is precious. 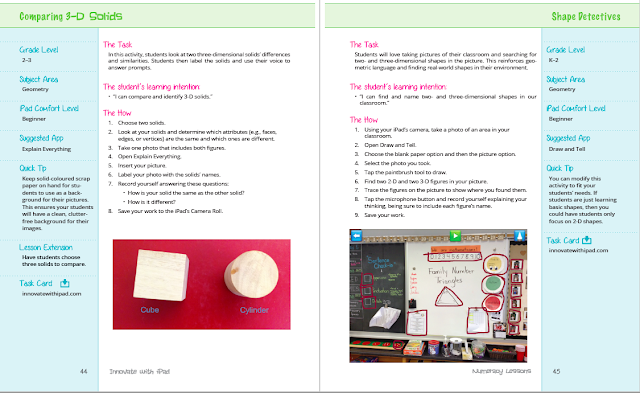 Each page is a laid out lesson plan with the majority of them having a finished picture of the project, a link for a task card that can be printed for your students to use (you get the password in the book to unlock all of the task cards at www.innovatewithipad.com) and or a live student sample. So busy teachers can open to the table of contents, find an idea and run with it. 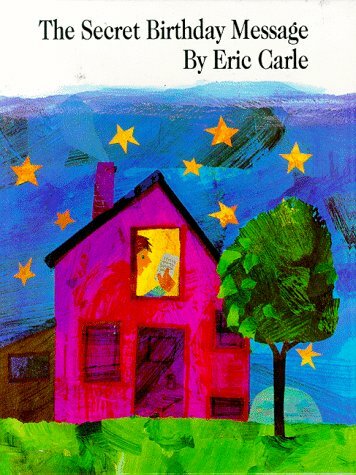 I love using literature to engage, inspire and make connections in math class. A colleague showed me the book, "The Secret Birthday Message" By Eric Carle. 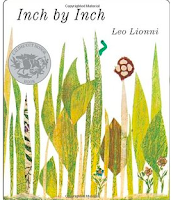 This wonderful book is about a boy who receives a letter written in code. The boy decodes the secret message by following the shapes in the letter. I thought it would be the perfect read aloud for an iPad lesson that I created this year for a kindergarten/grade 1 classroom called Shape Detectives. Students take a photo of somewhere in their classroom that has many different shapes. They then open an app that they can annotate on the picture like Draw and Tell, Skitch or Explain Everything to name a few. Students then find the shapes in the picture and trace over the shapes. 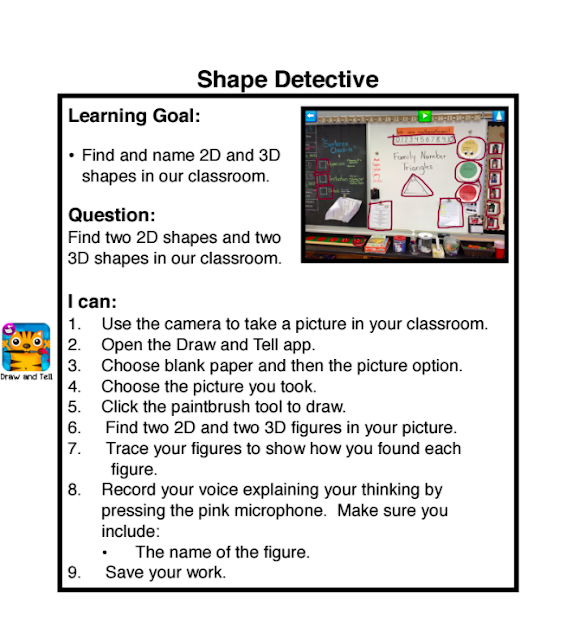 Finally, have students record themselves naming the shapes. If you liked this lesson please check out my book, Innovate with iPad - Lessons to transform learning in the classroom that has many more practical lessons that will fit perfectly into your curriculum! 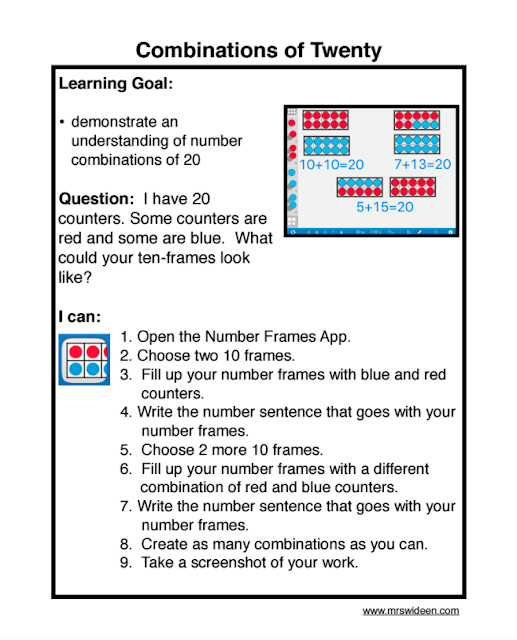 This past week, I was asked to model a lesson in a grade 2 classroom using technology. They were just beginning non standard measurement so I decided to use the book, "Inch by Inch" by Leo Lionni. If you have not read this book, it is a wonderful story about a vulnerable inch worm that is about to be eaten but shows his predators that he is valuable by measuring them. I read the story to the class and then I told them that we were going to do some measuring with worms. (No, not real worms, I bought rubber worms at the dollar store). We then talked about how to accurately measure an object. We specifically talked about how to line the worms up correctly making sure that they were not overlapping and making sure that we lined up the worms with the edge of the object we were measuring. Find 5 items that are between 1 and 2 worms in length. I was surprised that many of the students had a difficult time finding items that fit the task. 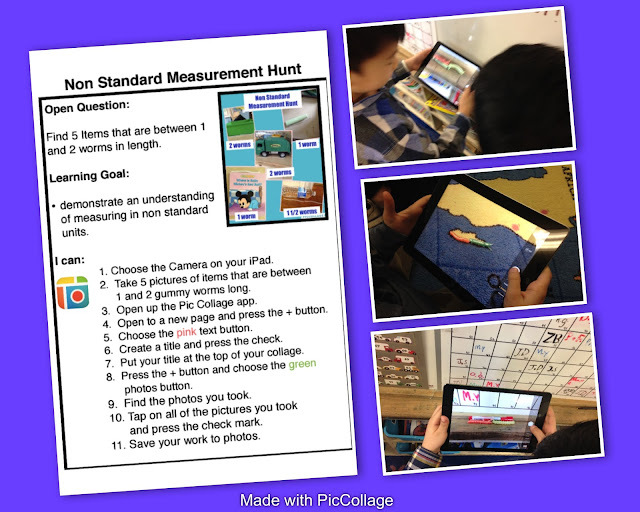 I then had them choose partners and had them use the free app Pic Collage to take pictures of the items they found that were between 1 and 2 worms in length. I also provided them a task card with the directions and provided an example of what a finished project might look like. It was amazing to see the collaboration between the partners and the extra thought that went into the task because of the simple question that I asked. 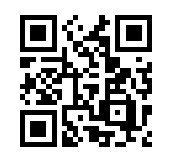 Thank you to Mona Paulin we now have the french version of the task card here. 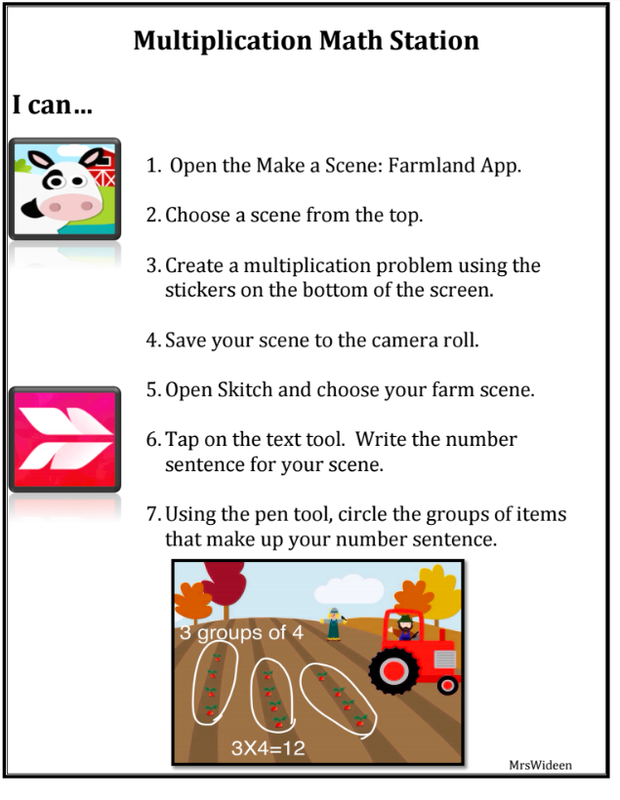 I get many questions from colleagues on how to use iPads in purposeful and authentic ways rather than using drill and kill apps for their little ones. 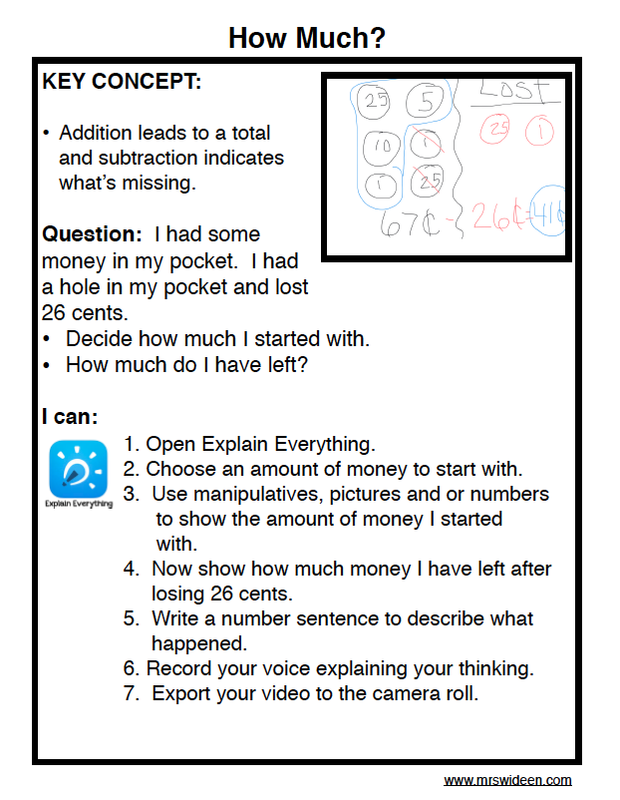 One way to incorporate iPads is to explore open ended math applications in conjunction with a content creation app that will capture student work and be able to record their thinking as well as record their voice. When young children are problem solving you can gain a lot of information about what the child can do by allowing the student to defend their answer. Here are a few new iPad task cards that I have created that are open ended. 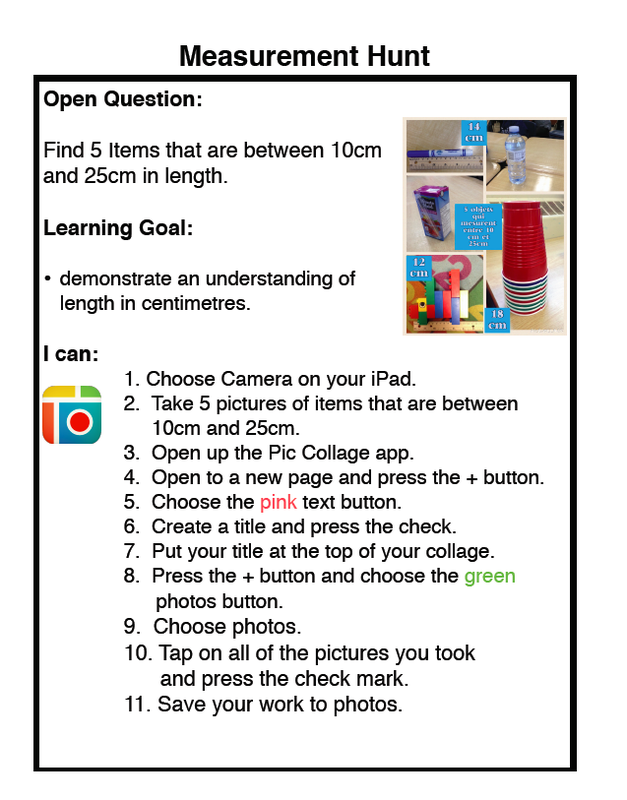 I would suggest that after your students save the image to photos that they open up an app like Explain Everything, upload their picture and explain their thinking. Here is an example of one of my students explaining her thinking.